Deltic boss Peter Marks said given the pressures on UK retailing it was "fantastic, and perhaps surprising, to see so many Britons feel positively about... local leisure offerings". Revellers are also going out more, and staying out for longer compared with 12 months ago. Some 58.1% of consumers are said to be going out at least once a week, and the average night out now lasts four hours, 35 minutes. That 54.2% feelgood factor rose to 60% in the 18 to 25 age group. "This is surprising given the ongoing news of casual dining outlet closures across the UK due to a host of macroeconomic pressures including Brexit, business rates and high rents," said the report. 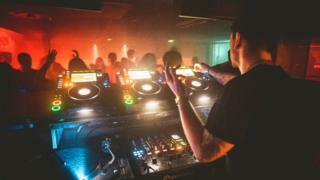 According to the latest available data from the Office for National Statistics, in 2017 just over three million people were employed in the UK's night-time economy, up almost 50% on the number employed in the sector in 2001.